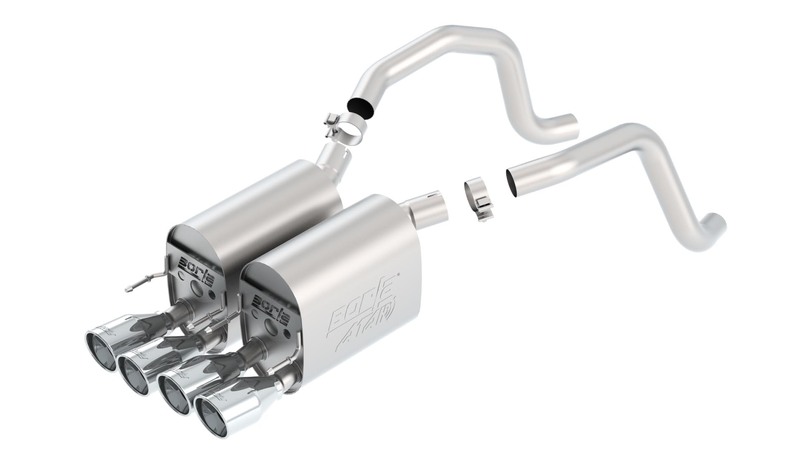 Description: BORLA® has announced the development of a revolutionary new exhaust technology that enables their engineers to deliver unprecedented vehicle-specific control over the acoustical note of an exhaust throughout the RPM range, while retaining 100% of the power-adding capabilities of BORLA’s patented Multicore design. Called ATAK™ (Acoustically-Tuned Applied Kinetics), this exclusive technology (U.S. patent #5,248,859) produces the highest available dB (decibel) levels in the BORLA® street-legal lineup, and is designed for high-performance purists who prefer exhaust notes over their stereos. The focus of ATAK™ is to pump the volume while retaining clarity of sound, at the same time avoiding the drone and distortion typically found in louder exhausts. With ATAK™, the sound output is tuned like a graphic equalizer to shape and focus sound waves for optimum high-volume output. 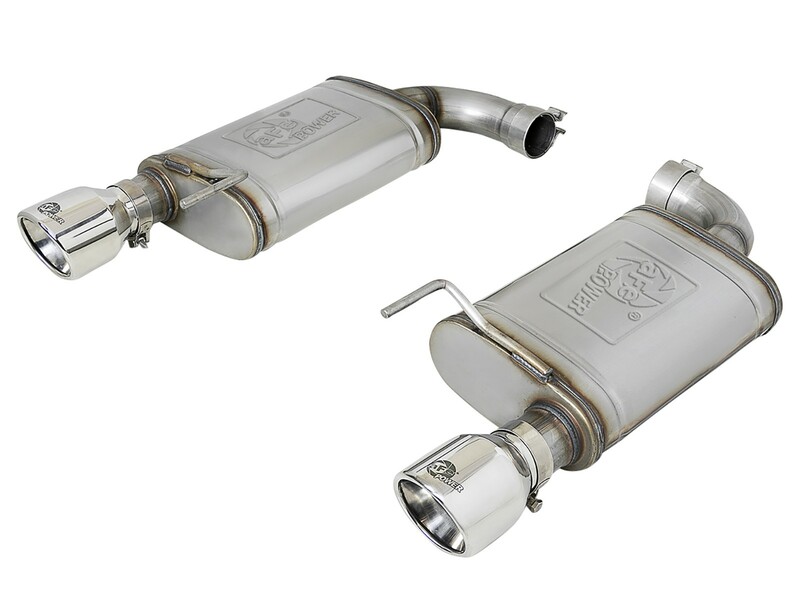 BORLA® is now shipping Cat-Back™ and/or Rear Section ATAK™ exhaust systems for a wide variety of popular applications such as Mustang (including 2011 GT V6), Camaro, Corvette, Challenger, GTR, and more in development. This ATAK system has been specifically tuned for the '05-'08 Corvette C6.